The Betsoft development team has released a new product – the slot machine Max Quest: Wrath of Ra, but to call it an online casino slot is stupid. This is almost a full-fledged computer game: you can wander around in different rooms, shoot creepy mummies, and most importantly - team up with other players for maximum winnings. The essence of the new machine is that for money you buy cartridges and various weapons, after which you go into the room with other players and shoot various monsters. From each monster, the player receives coins. After each round, ranks ranking among the players in the room. RTP of the “slot machine” is average - 96%, but few people are interested in this. Betsoft has really started a revolution in the gambling world. Given the attention the players have paid to this slot, other operators may soon follow suit. We recommend you play Max Quest slot for free and without registering on our website. Forget about the boring tests and monotonous drums. This game you can not quickly leave. Imagine that you have downloaded a full-fledged computer game. A team of six brave robbers sneaks into the pyramid and the most interesting begins here. 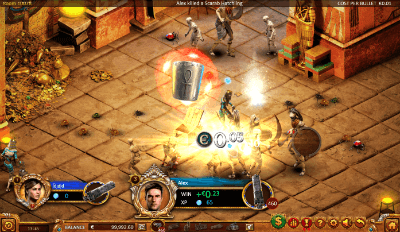 You have to shoot from the scarabs, various mummies and other evil spirits, which is found not far from Pharaoh. Betsoft kept their word when they promised a revolution not only during the game, but also in the graph.  Here is implemented an interactive survey and the mechanism inherent in the games RNG. Despite the fact, that the slot is rather complicated, and the developers have worked on its creation for a long time, the operator has decided not to leave a single moment for later, immediately allowing Max Quest: Wrath of Ra to play for free online on mobile phones and tablets. The game can still be run online, but keep in mind that you need a high-speed Internet connection. Max Quest: Wrath of Ra has its own gameplay, and we will tell you about it. So, after loading the slot, you choose a character and a name, and then you get to the lobby, where you need to choose a room to play. At the top you can choose the cost of the room, by analogy with the size of the coin and the level of the bet. After selecting, click on the room, that you`ve chosen, and do not forget to buy cartridges. You have a standard weapon, where the cost of the cartridge starts from 0.01 cents and reaches 0.25 cents. Minimum, you can buy 50 rounds of ammunition, a maximum of 50,000 thousand. Naturally, the more expensive the cartridges, the higher the profit. Of course, there is no standard free spins and Wild symbols. After that, we enter a room where, in addition to you, there may be five players and hordes of monsters who must be shot and received coins from them. Aim at enemies, pick up coins and additional bonuses in the form of boxes, where there are various rewards. Tired of shooting with your gun? Buy one of the three boxes that contain random weapons. It can be a six-barrel, a laser gun, a shotgun, a double-barreled gun, grenades and a plasma gun. Each weapon has its own "slaughter". In the store you can also buy ammunition. The round lasts a few minutes, where you have to kill as many monsters as possible. Some of them have greater stamina, which will bring more coins. And besides this, unite with other players and go through several rooms before the boss, and the one who covers him will receive considerable prizes. With each round, your level will increase. Also note that the weapons from the boxes are not transferred to the next level, but it will be converted into money if you play Max Quest for money. We can talk about this slot infinitely long. But it's better to see once than to hear about such an unusual slot. 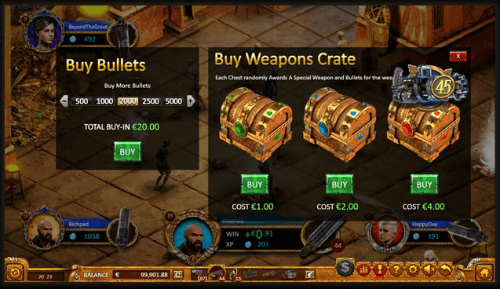 What is very pleasant for players – it is a possibility to play Max Quest online for free! We strongly recommend you to test this slot!